The purpose in notifying the user of the cookies use, is first and foremost to protect the privacy of the users and ensure the continued trust of the user to the website. 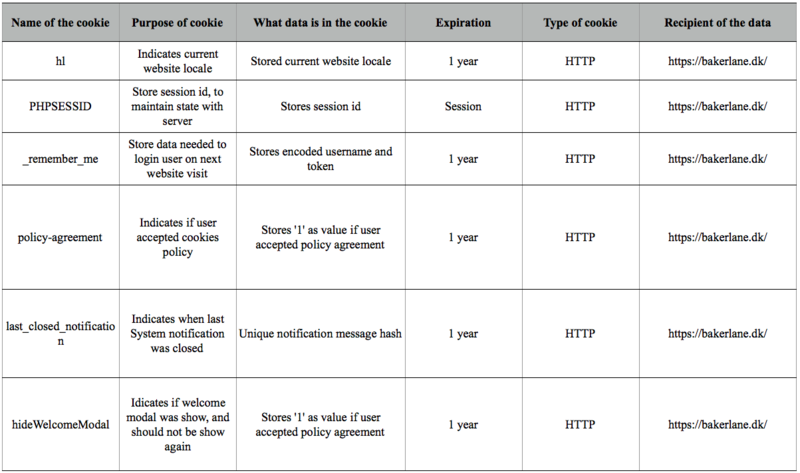 Regulations about cookies have been cemented strongly, in connection to 'Persondataloven'. The notification of cookies is as of today, a requirement on my websites. Focusing on companies and website owners, where focus on complying to the cookie legislation have been subpar.